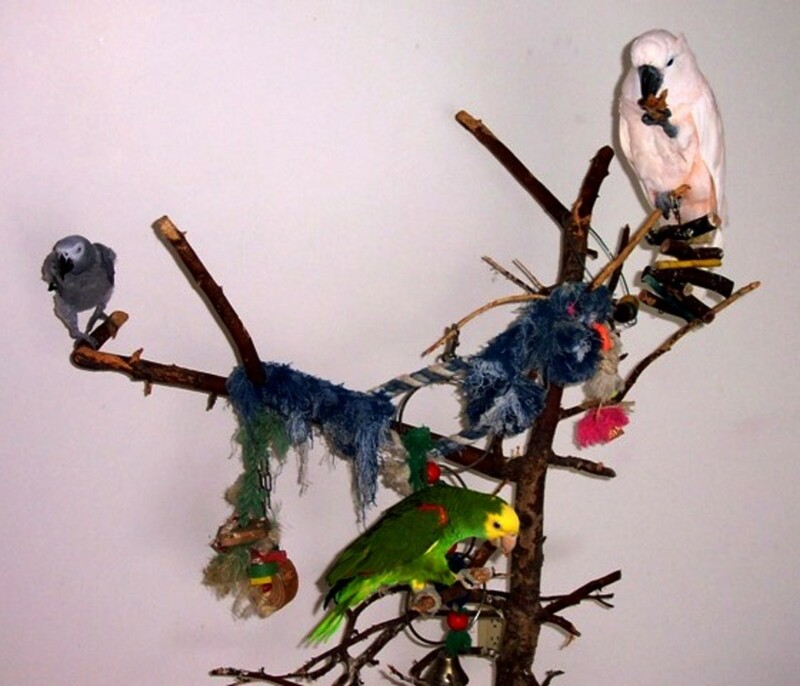 Sometimes pet birds display behavioral problems that their owners find difficult to deal with. While there may be many undesirable ways in which birds misbehave, some behavior issues are more widely reported than others. With time and effort, most of these problems can be solved. Read on to find out the five most common behavioral problems in pet birds and what you can do to solve them. This is the most common problem and there are many reasons for it. Your bird might be frightened of something or he/she is warning you of danger. For example, a visit from a member of your family whom they are not familiar with can incite biting. Sometimes, biting might be hormonal. Other times, your bird might just be playing with you, thinking that your fingers are chew toys. You should also ignore your parrot when he/she bites you. This will help them understand that they have done something bad. Give treats for good behavior. 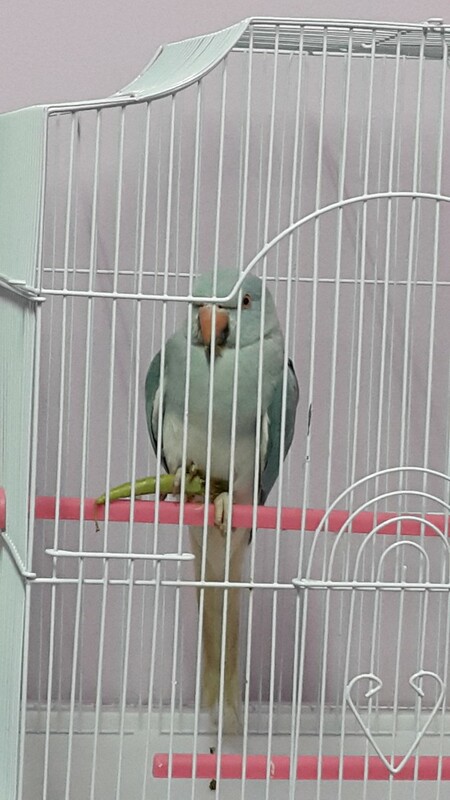 If you scream at your parrot, he/she will continue biting to get a reaction from you. Parrots love drama! This is another undesirable trait that can be a nuisance. All healthy birds scream and vocalize during the day, but too much screaming may be a problem. It could be the result of boredom, depression, or stress. Try to find out what your bird is going through. Place your parrot in a quiet room or cover his/her cage. Try to sing calmly or show him/her a new toy. Your parrot will get distracted and may stop screaming. Consult an avian vet or specialist if screaming continues. This is a serious issue. 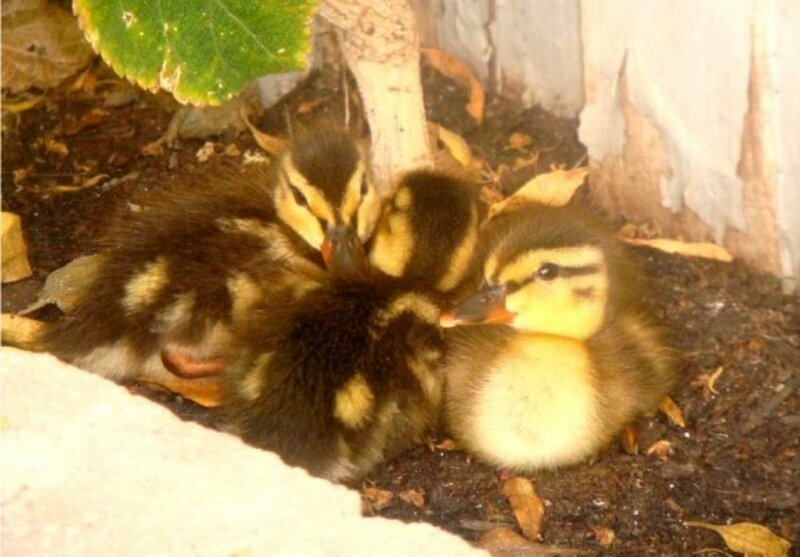 It can occur in birds that are severely depressed or unhappy with their environment. Sometimes parrots may pluck their feathers out of boredom. 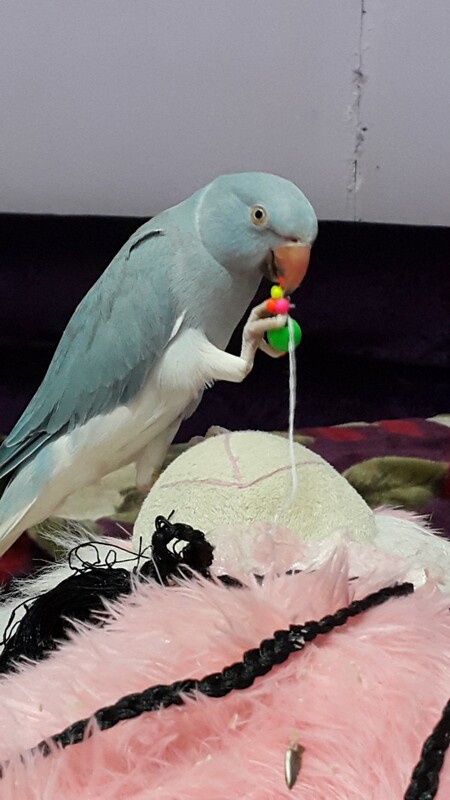 Check to see if your bird's cage is large enough and that he/she has enough toys to help with mental stimulation. Provide nutritious food and keep the cage clean. Spend more time with your bird, giving them adequate attention. Keep birds healthy and happy in the best way possible. Birds are very intelligent, and they need lots of attention to keep themselves from becoming bored. If birds show signs of destructive behavior, it means they are not receiving enough mental stimulation or are unhappy with their environment. Try including your parrot in your daily activities. Talk to them about how you feel and tell them how much you love them. Pets do feel our emotions. Share meals (parrot-safe) with your pet. Buy him/her new toys, or make some toys yourself. Parrots do get bored of the same things! Birds that suddenly show this behavior may be experiencing hormonal problems. But there can be other triggers, and it may be a sign your bird is not comfortable with you. Try bonding techniques such as sharing food (unsalted and bird-safe), talking softly to them, or switching on some calming music. Give them more baths. This helps to strengthen your bond. You may also seek help from a parrot behavior consultant. It was an unalloyed joy to watch my parrot, Puffy, bathe. We used to spray him with warm water because he was scared of bathing in a vessel, but bathing was his favorite activity. He loved getting sprayed and blinked his adorable eyes when water droplets entered them. He wagged his tail frequently, displaying a sign of immense happiness. 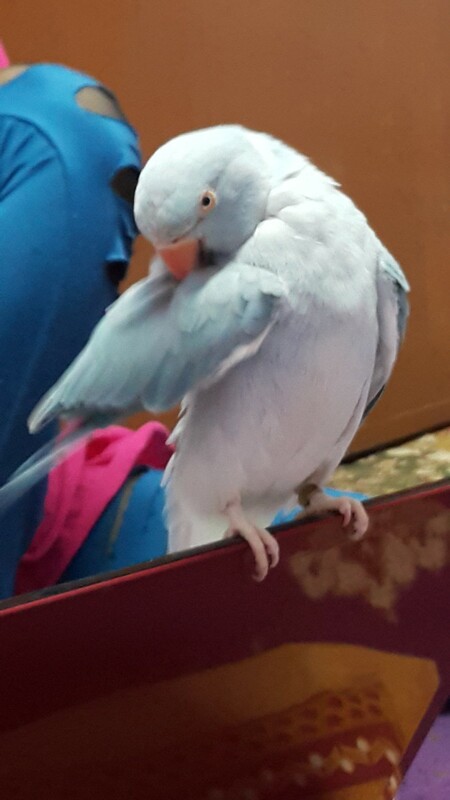 After the bath, he dried himself and preened his feathers. We generally gave him frequent baths to strengthen our bond with him. Tip: If your parrot is irritated or grumpy, give him/her a bowl of warm water to splash in or spray him/her. Your pet bird will surely love it! Provide chew toys and ignore your bird. Don't reward biting with your attention. 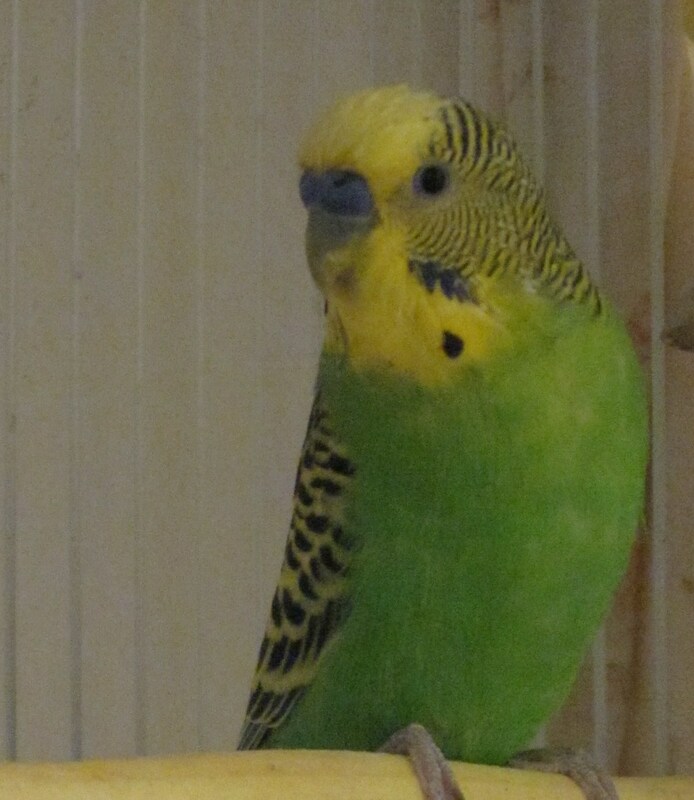 Place bird in a quiet room or cover cage. Sing to your bird. Make sure cage is large enough and is always clean. Provide toys. Include bird in your daily activities. Allow it outside the cage, share a meal together, or put on some calming music. Give them baths or share a meal together to strengthen bond. I still remember the day we brought Puffy home. It was 20 August 2015. 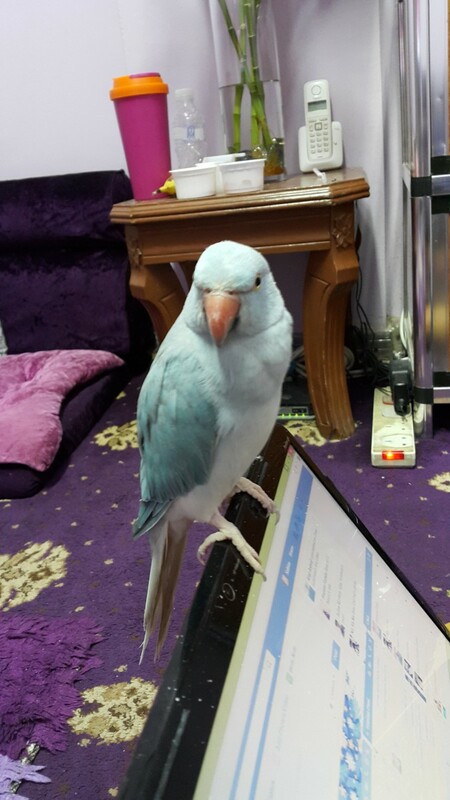 Puffy was a sky blue, male, Indian Ringneck (IRN) parrot. 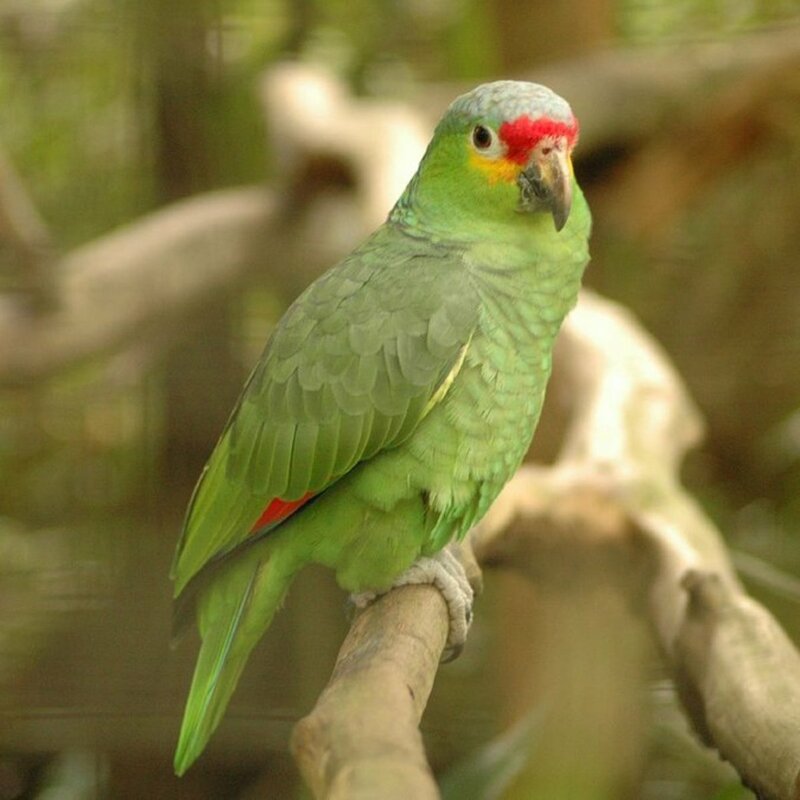 He was found perched a bit away from the chirpy and playful group of other parrots in the large cage. He was unusually quiet, or maybe he was sleepy — we didn't know. The shopkeeper told us that he had one problem: he wasn't tame. "He bites," the shopkeeper warned us. But we felt like we could tame him. Is it possible to tame parrots that bite? For a parrot, Puffy was unusually quiet. He didn't eat anything the day we brought him home. The next day, however, he perched himself lower and decided to grab an apple to soothe his empty stomach. We were delighted to watch him eat, but he didn't eat in front of us. After watching a dozen videos on parrot taming and behavior, we decided to try hand feeding him. 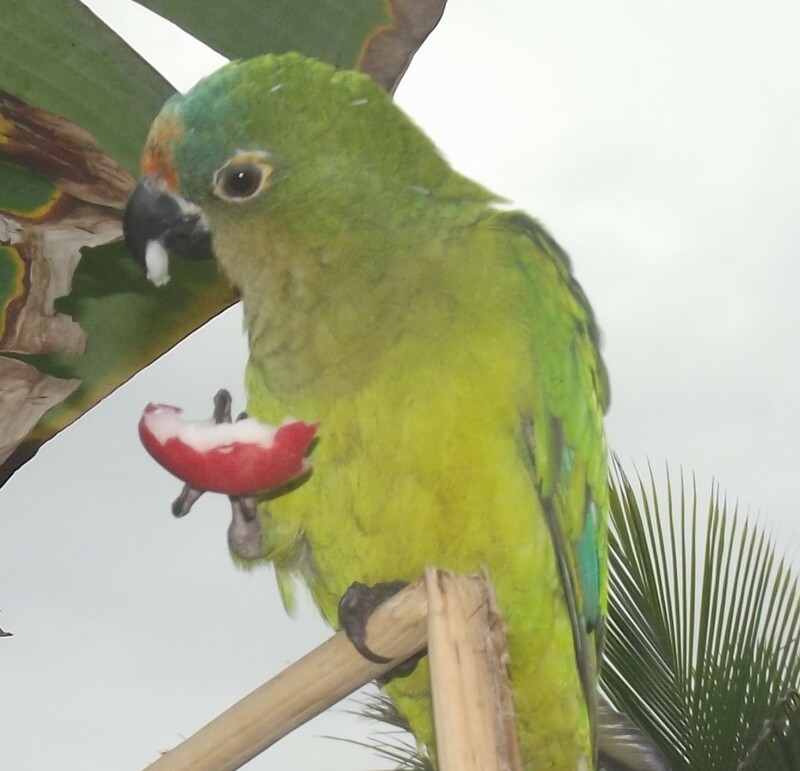 Although he was skeptical at first, with a million doubts and questions on his little furry face, he finally accepted a piece of fruit from my mother. It was a great achievement for us and we felt as if we had conquered the world. For the next few weeks, we kept feeding him from our hands. Occasionally, we would scratch him with a straw because he wouldn't let us touch him. We even let him out for a good time every day and gave him toys to keep him entertained. Everything was going well, but soon, we found many changes in Puffy's behavior that we later understood to be behavioral problems. He wasn't acting like a normal parrot. We tried in every way to keep him happy, but he never returned the affection. It was heartbreaking, but we loved him nevertheless. Puffy's fear of us kept growing. We could tell because he would pin his eyes and show aggression. 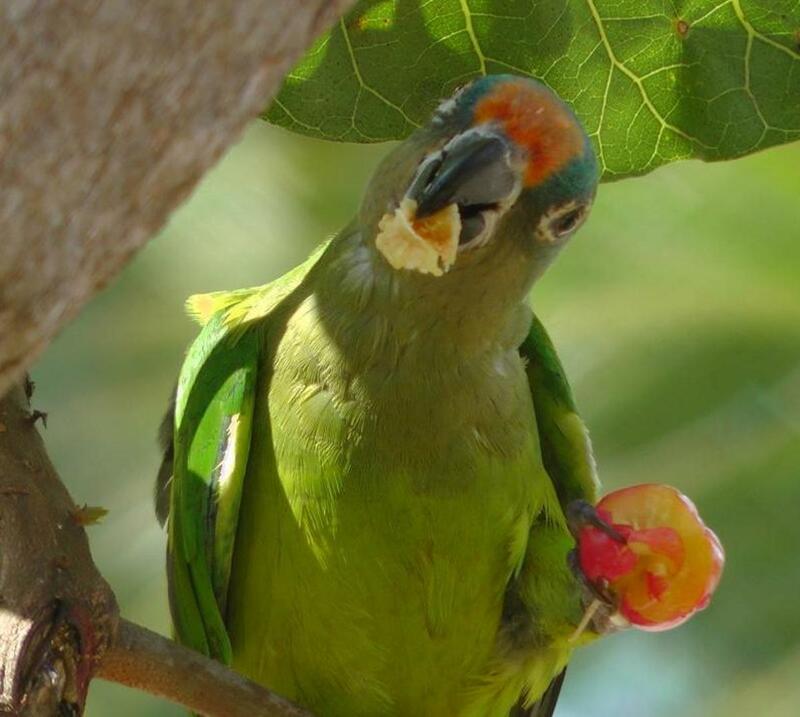 Eye pinning is when parrots dilate or contract their pupils, quickly shifting between black and white. He literally growled at us. He would do this when we tried to come near him. 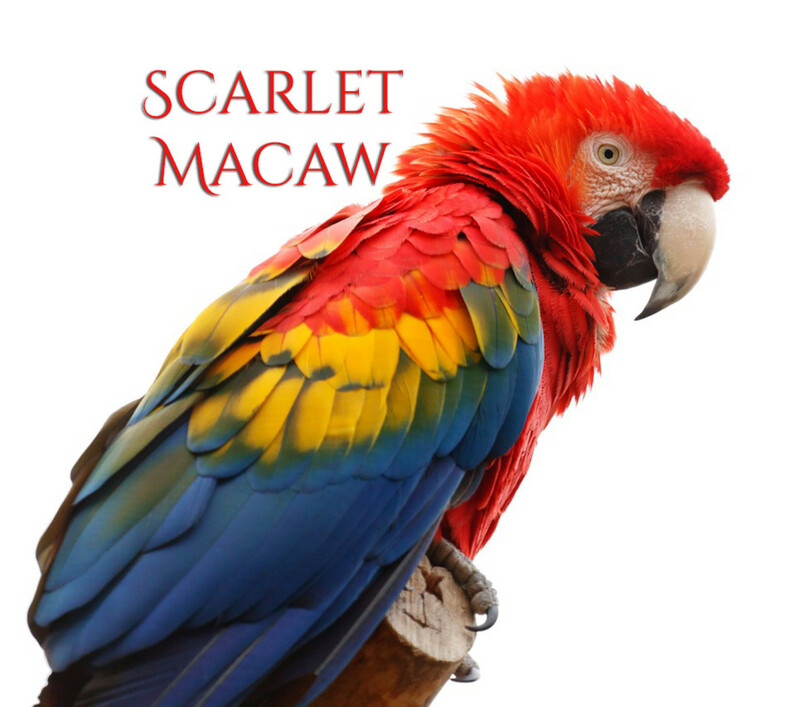 Growling might be accompanied by eye pinning and your parrot's beak might be slightly open. This is an indication that he/she may bite you. Caution: Leave your parrot alone when he/she growls. Don't pet him/her or you may get severly bitten. He rubbed his beak a lot. This indicates frustration and is called "transferred aggression." He started biting his nails very often, too. He screamed loudly for no apparent reason. This was unbearable. Sometimes his screams could be heard through the ground floor of our building! He started biting us a lot. Before, he accepted fruits and ate from our hands. But somehow that changed, and he developed hatred towards our fingers. Whenever he saw a finger, he would start growling and attacking by biting hard until we moved it from his sight. This also happened when we touched his toys, food, or teddy bear. On 2 March 2016, a tragedy awaited us. Puffy was out of his cage as usual while we were having lunch. We decided to switch on some music to calm him down. But upon hearing the first beat, he flew around the room in a circle and then went directly out of the window! We were clearly shocked and dumbfounded. This was never expected. Despite exhausting efforts, we couldn't get him back. After that day, we never saw him again. Keep the windows and doors of your house closed whenever you let your pets out. You never know when they might fly away even if you think they are loyal. We still remember Puffy every day. Though he couldn't get rid of his fear of us and didn't let us touch him, we loved him anyway. We miss him. I never imagined I would lose my first pet in such a way. A great loss indeed, but it helped us learn many things. In the end, Puffy got what he wanted most: freedom. We now have bittersweet memories to cherish for a long time. 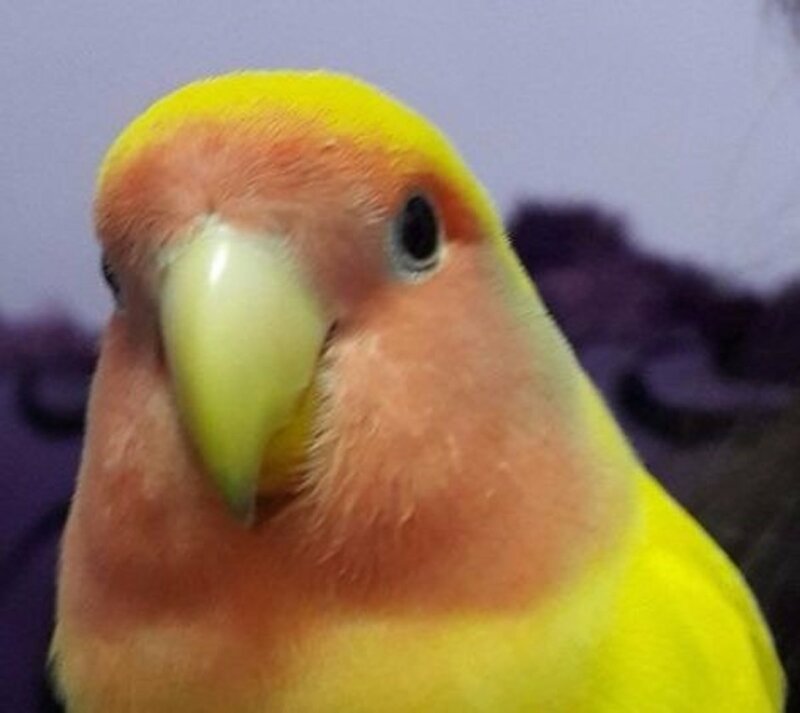 Is it necessary to clip wings of pet birds? No, they should have their freedom. You are welcome, pet lovers. If you would write more hub on pets and their cares. Your hub might go on HubPages's vertical sites. Thank you so much! ☺ Yep, I do love birds a lot. A new hub is under progress...will finish writing it off soon. Stay blessed you too! That is so well written and detailed piece of wonderful work. I must say it is very difficult to judge or understand bird's behavior or their needs or wants, but you nailed it. The best thing about this article is you have given simple and unique solution for their behavioral problem. Thank you so much Mona for understanding my feelings towards Puffy. I love this story and how hard you worked to keep Puffy happy. The ending was sad, but the good thing is, you realized that he was happy, and you could be happy for him. Wow excellent article,truly an informative piece of writing. Thank you Shelton Shibu and Dr.Harshad Prajapati for your kind opinions. I like birds in their natural habitat and not caged. I love to see colourful birds. Most of the birds do have family and they are happy with them as we are with our family members together. So in my opinion they more happier in their own environment rather than with us no matter how love we give them but they may not understand our love for them. So i am not in favour of keeping pet in my home as we deprive them for their natural enviorent. It is very good.Keep going ahead!